I’m so happy to share one of my favorite holiday recipes with you! 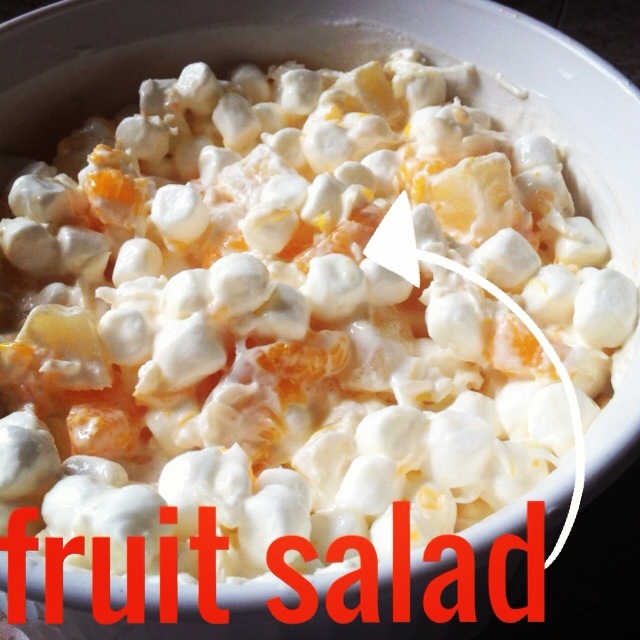 This is my great Grandma Hart’s Fruit salad – some people call it ambrosia or cuppa salad as well, but to me it’s always great grandma’s fruit salad. I’m sure there are variations but this has been how I’ve made it ever since I COULD make food!